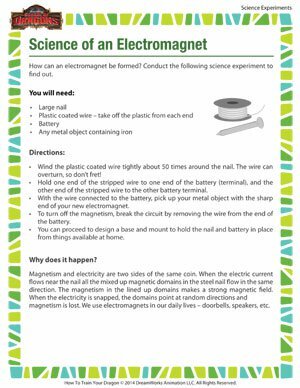 'Science of an Electromagnet’ is a science experiment on electromagnetism. The experiment will help kids understand how magnetism and electricity are two sides of the same coin. Usage of electromagnets in regular machines such as doorbells, speakers, etc. will help them to apply their understanding of electromagnetism to their lives. Check out other exciting science experiments too!